Some more details surrounding the upcoming port of The Snack World from 3DS to Nintendo Switch, with a report from 4Gamer revealing a host of new improvements that will upgrade the food-minded adventure for a new generation. 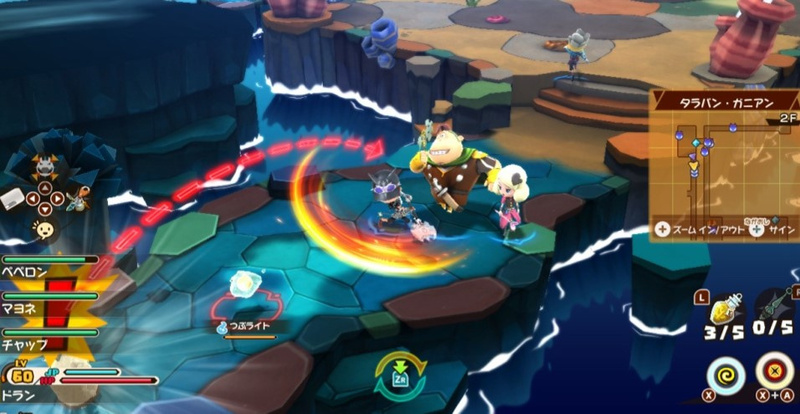 Snack World Trejarers Gold will include improved graphics, support for 5.1 Surround Sound and the use of a full orchestra for the soundtrack. Character and enemy animations have all been revised, and when it comes to combat you an now string together up to six attacks in a single combo. There have also been improvements to the freedom of camera movement so you'll get a better view of the field of battle. Snack World looks so gosh dang good. This is top tier Level 5 stuff. We need this game. Localize it for the west pls. Great... Now release it to the rest of the world!!! Fantasy life was a great unappreciated 3ds game and one of my most played. This is clearly built off of that one, so I'm very interested, and at the same time the lukewarm sales in Japan, and the fact the 3ds title was only released in Japan, make me see these stories as noise. I doubt it gets localized. Game looks awesome. Like a mixture of Pokemon aesthetics with "Tales Of" gameplay. Would not be surprised if they went with this style for Pokemon Swtich.